Yesterday, 25th of March, marked the 65th anniversary of mass deportations from Estonia. 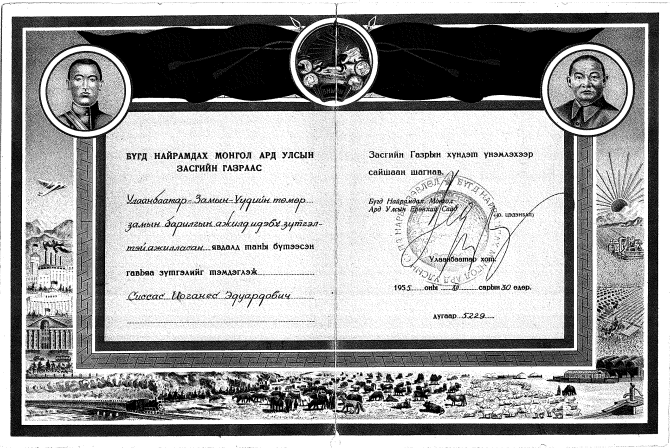 All members of former Estonian-minded governments, members of university societies, members of voluntary state organisations, former politicians, judges, anyone with foreign connections were declared ’kulaks’ – a Russian word meaning ’fist’ originally used for Russian farmers who used paid labor and were against the Soviet power and collective farms. The word was later used for people who were declared enemies of state. These people constituted 23% of Estonia’s population. About 20,000 people – a big number for small Estonia. Nearly 2 million people were sent to Gulags from all over the Soviet Union. Nearly half of those deported into labor camps were women and children, the youngest not even a year old and the eldest 95 years old. 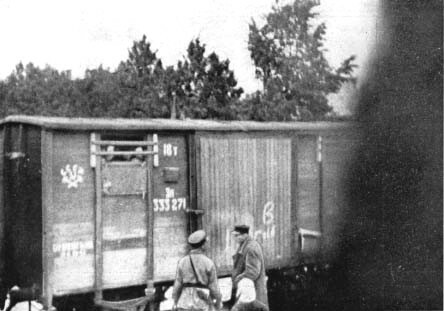 People were woken up early in the morning, they were given 15 minutes to pack, if that, and ordered to board a truck, which would take them to the train station where they would be loaded onto carriages meant for animals and sent to various labour camps in Siberia. Two babies are known to have been born on those trains, tens of people died on those trains. 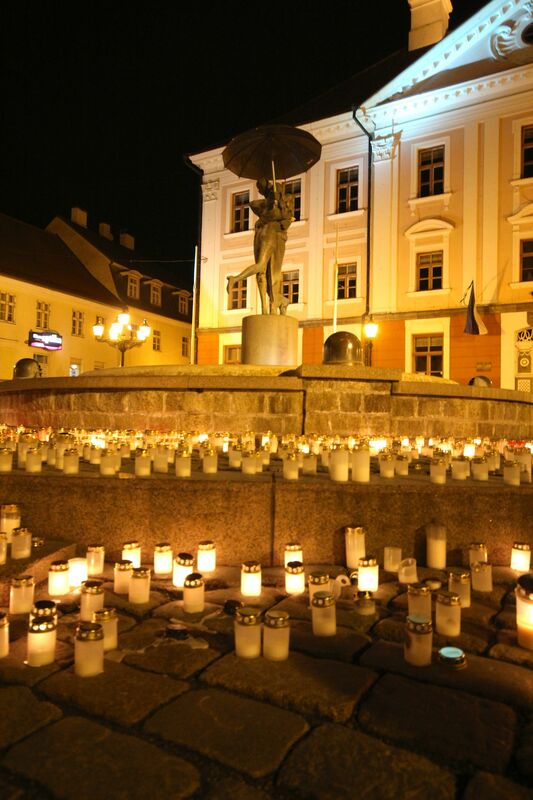 So now, every 25th of March and 14th of June the people of Estonia remember those whose lives were so unnecessarily lost. About 1300 children were born in those labour camps, but very little is known of them as they were not documented by the local authorities. There are a number of Estonian villages in Siberia that people set up arter getting out of the camps. I have every intention of visiting those as soon as I figure out how to get to the middle of Siberia. 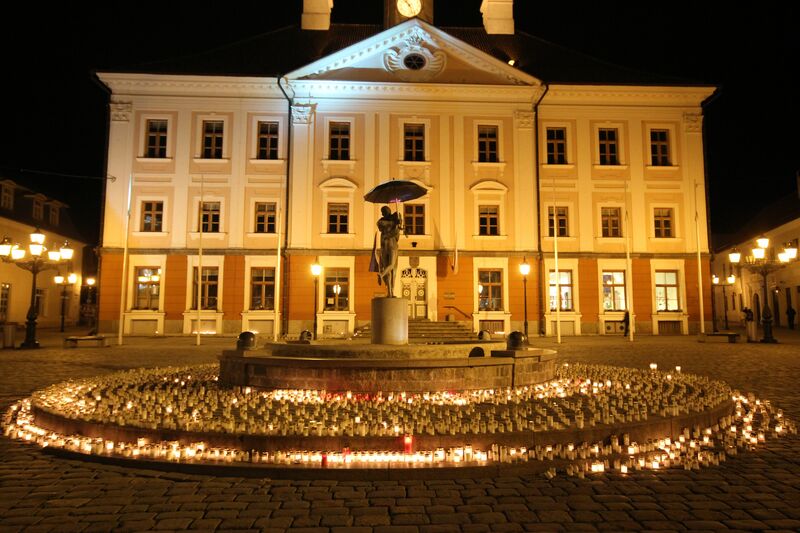 Candles were lit on most town squares last night, here’s an image of Tartu. My grandfather’s family was among those deported. His father, who was involved in the military, was arrested in 1944 and sentenced to 10 years in prison and 5 years in exile, but he was probably executed in 1946. His two brothers and mother were deported at a later date. My grandfather escaped the deportation at this time, because he had already been imprisoned for putting the Estonian flag on his school at the age of 15 with his friends. A very serious crime indeed. 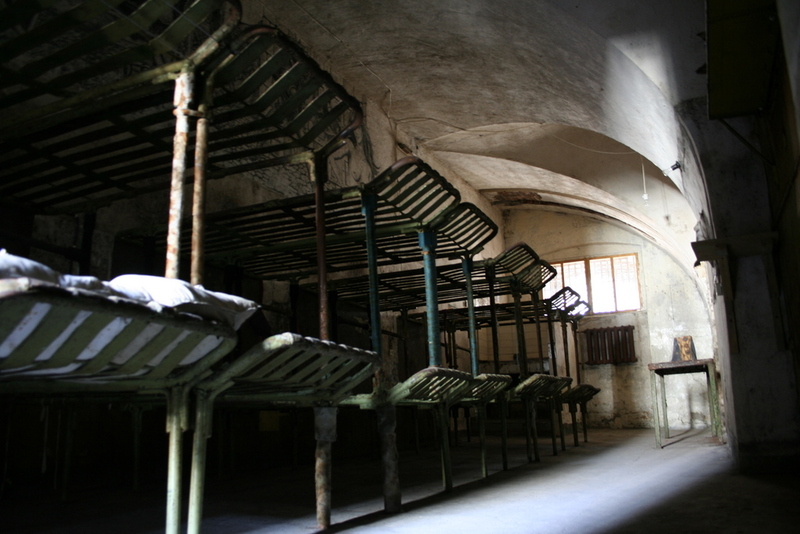 He did share his prison cell at Patarei prison, no longer used as such, with a then famous Estonian actor Ruut Tarmo. However, after serving 5 years of his 10 year sentence he was given amnesty only to find that his family was gone and so was his home, so he followed them to Siberia. He didn’t stay in Siberia for long, though. He was soon sent to Mongolia as a member of the Soviet army, where he stayed for 2 years. While patrolling in the Mongolian countryside he spotted a young girl tied to a tree. It was speculated that her family left her there because they could not afford to keep her. My grandfather set her free and in return he received a letter of thanks signed by the then general secretary of Mongolian People’s Party Yumjaagiin Tsedenbal. Estonia is full of stories like my grandfather’s, but unfortunately not very many of them are told. I am only finding out about things that happened back then and find it fascinating that these stories have attracted so little local and international media attention. People who died in those remote, freezing places should be remembered a lot more than twice a year. More family stories coming as soon as I find them out. Posted in Estonia, PlacesTagged Estonia, Estonian history, Gulag, Labour camps, mass deportations, Mongolia, Patarei prison, Siberia, Soviet UnionBookmark the permalink.